Here are our thoughts about the Venstar Thermostat. Imagine a touch screen device with a full color display and multiple functions. The thing that first comes to mind is a smart phone or a tablet. Those are the gadgets we turn to when we are in need of instant services such as messaging, entertainment, and research because it’s like having a computer at the palm of our hands. But the thing we were referring to when we were talking about a “touch screen device with a full color display and multiple functions” was a thermostat. This is the best way to describe the Venstar Thermostat Wi-Fi ColorTouch High Resolution Color, for it gives you a high quality service that is comparable to the performance of a smart phone. The most noticeable advantage of using this Venstar Thermostat is that it is easy to install and easy to use. The functional screen lets you program it in all the right ways, without going too complicated. It also helps that the interface looks really good, so everything is presented nicely. The combination of this appealing display and the overall functionality is the reason this unit is getting nothing but praise from reviewers. The biggest disadvantage however, is that it currently goes for a little over $200 dollars. This is almost similarly priced with a few smart thermostats. 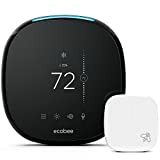 That doesn’t say much, since this offers a similar kind of performance, but for a programmable thermostat, this is more expensive than usual. If you are on a tight budget, and you only want a programmable thermostat that will work properly, you might as well go with a cheaper model. Judging by this thermostat’s introduction, you were probably thinking it was a smart thermostat, but guess again. This is actually just your regular, programmable thermostat. It just so happens to be capable of delivering such an impressive array of features that we can’t help but mistake it for one. While smart thermostats may be quickly becoming the trend nowadays, there’s no denying the fact that their programmable counterparts are still very much alive in the market. In fact, they’re still providing a decent competition because most thermostats that are being produced are programmable. And with the likes of the Venstar Thermostat boosting their appeal, we could say that they’re giving smart thermostats a run for their money. 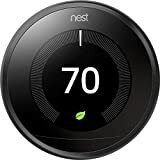 On this guide you will know all the great things that make this Venstar Thermostat worthy of being in your home, as well as the not-so-good things, so you would be aware of what you are buying before you spend a single dollar. Let’s have a look at this awesome thermostat. So the main selling point of this programmable Venstar Thermostat is that it gives you a high resolution display that is made even more convenient by the touch screen capability. And while that may be a bit of a common feature nowadays, it is still pretty impressive because you wouldn’t have to press a bunch of buttons just to get your heating and cooling system running. You only need to tap lightly on the full color screen. And the fact that it offers a ‘high resolution display’ means everything will be clearly shown on the screen. It’s like using an iPhone, except it is a thermostat. Like how most programmable units work, it lets you keep a weekly schedule of your preferred temperatures, so that you can keep your home nice and toasty during colder seasons, as well as keep it cold during hot summer days. Gone are the days where you have to manually adjust your HVAC (heating, ventilation, and air conditioning) system just to keep yourself comfortable. Just input your chosen schedule and get ready for an optimal service from this Venstar thermostat. Now if for some reason you are not able to get close to the screen – let’s say you are out of the house, or out of the country – it still lets you control the temperature with the help of its Wi-Fi connectivity. This is another common feature nowadays, but it is quite useful. Also this feature is more commonly associated with smart thermostats. Just download the mobile app on any mobile device, and you can literally influence your energy usage and reduce your costs. Take manual control of your thermostat from anywhere that has a Wi-Fi network. We compared this Venstar thermostat to a smart phone not only because it offers a high definition, touch screen display, but also because it has a lot of great features that make it stand out from the tech crowd. First of all, it gives you alerts based on pre-configured notifications, which let you know important information such as the condition of your system. It also shows if your home’s temperature has gone above or below your chosen limits. The screen even displays messages that you sent through a mobile device, allowing you to literally text your family members through the thermostat. Use this feature for posting daily reminders and notes to your loved ones. The Venstar Thermostat also has a security feature that limits its use to the people you trust. Lastly, it lets you have customizable backgrounds, making it possible for you to personalize it with your own photos, or with the pre-set themes. Some thermostats only let you choose color schemes to match your walls and interior decorations, but this Venstar Thermostat lets you go even further than that. Having this Venstar Thermostat installed is like hanging a pretty picture frame onto your wall, except this particular picture frame is also a multi-functional, simple-to-use, fully-loaded programmable touch screen device that lets you take control of your home’s temperature. Come to think of it, it is a thermostat and a computer rolled into one. That’s definitely a great way to spend your thermostat budget, because you are getting two devices in one. Getting comfortable in your own home has never been easier. Who knew a simple unit could do so much? This is one of the reasons why programmable thermostats are still persisting up to this day. Monitor & Control the thermostats using your iPhone, iPad, Android and amazon(kindle fire and kindle fire phone) or blackberry phone.